JIG, SPIN, TROLL & FLY FISHING - EXPERIENCE MORE! Cruise the lake aboard a beautiful vessel with a small group. Get geared up for a fly fishing adventure & 4WD experience. 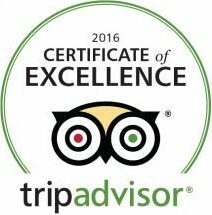 Excellent for corporate events, team building, birthdays, stag & hen parties. 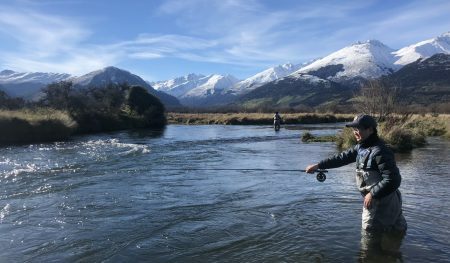 Whether spin or fly fishing, seasoned anglers or first time fishers can reel in an incredible day of learning from Queenstown’s best fishing team. With 80+ years of combined experience, you will learn how to fly fish, the basics of trolling, how to spin & soft bait for fish, and how to use fishing gear to reel in the catch of the day. Closely reading the lake and river hotspots, our guides have a sixth sense when it comes to tracking wild trout and salmon. We specialize in fly fishing, lake trolling, drift fishing, spinning/soft baiting and jigging. You will be guided by those who truly know this fishing paradise. Have a blast at your next corporate fishing event or memorable family outing. Try some super fresh sashimi with the very fish you catch! 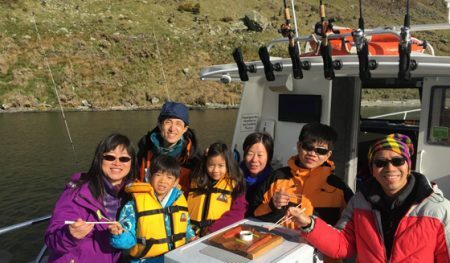 Tour the lake in the luxury of having space to cast and feel right at home on Lake Wakatipu. Heli fishing combo's and Hunting options also available on request. 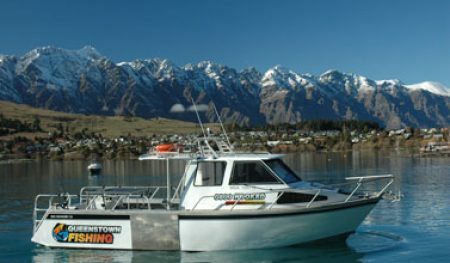 Queenstown Fishing offers one-of-a-kind boat & fishing charters and guided fly-fishing experiences. 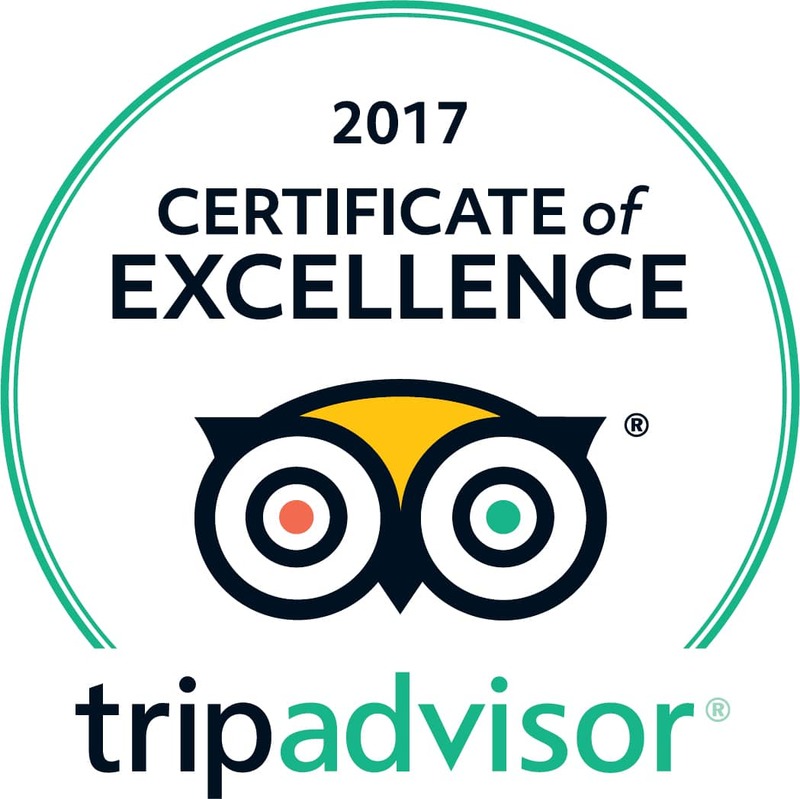 Come with us to the spectacular alpine lakes Wakatipu, Wanaka and Hawea, plus the world renowned rivers of the Southern Lakes region. We offer add-ons for charters such as: transport, bbq hire, apparel and more.